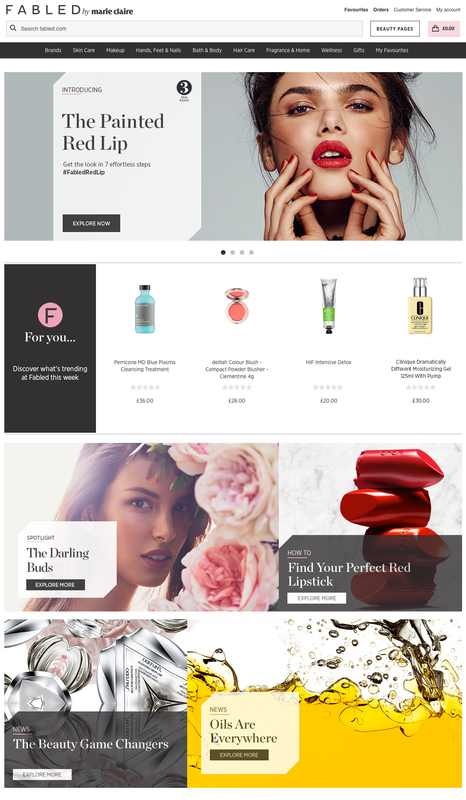 Women's magazine Marie Claire is eyeing alternative revenue models, launching an online and physical beauty retail brand called Fabled. Fabled has been launched in partnership with Ocado. It will sell products from high-end beauty brands typically featured in the magazine, including Estée Lauder, Bobbi Brown and Urban Decay. Fabled launches online in August at fabled.com, and there will also be a flagship store in London’s West End. The focus is primarily on online consumers, with Ocado’s tech plugging in to offer shoppers deliveries in one hour time slots. The venture was first announced by Marie Claire owner Time in February, and will be led by Amanda Scott, former head of buying for beauty and accessories at John Lewis. Editorial is headed up by freelance beauty editor Sam Dean. Scott said: "Our new venture perfectly combines the unparalleled brand authority and influence of Marie Claire with the ecommerce expertise of Ocado."